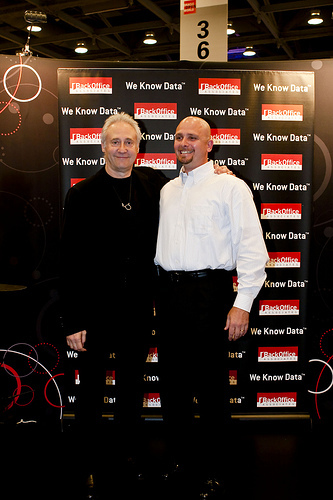 In September 2010, Bill had the opportunity to meet Brent Spiner, whose most famous role is Data from Star Trek Next Generation. Given the hours enjoyment Mr. Spiner has provided to our family, it was appropriate for Bill to shake his hand and thank him. Brent was gracious. 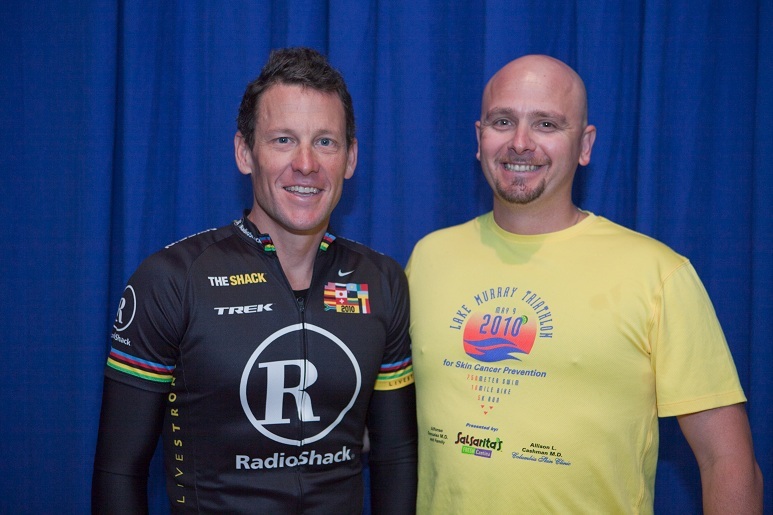 In September 2010, Bill had the opportunity to bike ride 7 miles through downtown San Fransisco, CA with 7 time Tour De France winner Lance Armstrong. Bill chatted with him during the ride about Lance's possible entry into Ironman. Lance was coy, but did share that he has been running and swimming a lot more. Bill was sure to put Lance on his rear tire for a portion of the ride.... the view of Lance Armstrong over your shoulder during a bike ride is a rare one! Princesses KJ, Ariel (The Little Mermaid), and Aurora (Sleeping Beauty). On December 25th, 2008, KJ was in Disney's Magic Kingdom and met up with a few fellow princesses.... The Little Mermaid (Princess Ariel) and Sleeping Beauty (Princess Aurora). In October 2007, Bill spent a number of hours with Roy T. Fielding. They met again at a conference in November 2008. Roy is one of the principle authors of HTTP (the mechanism that allows you to get web pages), and is a co-founder of the Apache organization. One of Royç—´ greatest achievements was his doctoral dissertation on REST (Representational State Transfer). The REST thesis is the seminal text on document retrieval approaches for Internet centric documents. Considered one of the fathers (or God Fathers!) of the Internet, Roy is a very unassuming guy and an absolute pleasure to talk with. On March 7th, 2007, Bill got to hang out in the VIP suite at an Atlanta Hawks basketball game with 8 other folks. One of them was was Kevin Willis, a 7 foot power forward with 20 years of NBA experience! Mr. Willis was the ultimate gentleman. He was polite, answered questions, talked basketball, and just hung out. Kevin told Bill that what he misses most about the NBA is the camaraderie of the other players. Bill watched the first quarter with Kevin, and then the NBA star had to go (probably to see other VIPs!). Unfortunately, the guy with the camera still hasnç¨š sent Bill the photos taken during the game. Below are photos of the hat signed by Kevin for Bill and the ticket stub for the suite. On May 19th, 2006, Bill met Dale Bryan Murphy, a former center fielder in Major League Baseball. Dale Murphy is regarded by many as one of the premier players during the 1980s. His best years were with the Atlanta Braves, appearing in the All-Star Game seven times, and leading the National League in home runs and RBI twice; he also led the major leagues in home runs and runs batted in over the 10-year span from 1981 to 1990. He led the National League in games, at bats, runs, hits, extra base hits, RBI, runs created, total bases, and plate appearances in the 1980s. 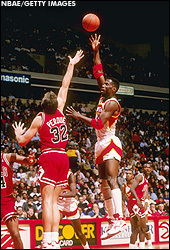 He also accomplished a 30-30 season in 1983, at the time only the 6th player since 1922 to do so. In addition he also won five consecutive Gold Glove Awards, and won two consecutive MVP awards in 1982 and 1983, making him one of only four outfielders in major league history with consecutive MVP years, and the youngest ever to do so at the time. Complete with authenticity sticker from MLB, Bill and Val now have a real Dale Murphy autographed baseball! Bill helped raise $840 for the Georgia Cancer Coalition. As a reward, he participated in the inaugural BriarRose Grand Peloton, a 25 mile ride. This ride had as the leader none other than three time Tour de France winner, Greg LeMond! Other notable riders included Norman Alvis, Mari Holden, and Steve Hegg. The ride took place April 23rd, 2006. Bill wishes to send an extra thank you to everyone who helped sponsor him on the ride by donating to the cause. KJ and Bill with three time Tour de France winner Greg LeMond. KJ gets all the attention! KJ and Bill with Norman Alvis, a five-time national record holder including the Hour Record (33 MPH)! Mr. Alvis was a member of the 1988 Olympic team in Seoul, Korea. KJ and Bill with Mari Holden. Mari Holden is a two-time Olympian with a sliver medal in Sydney, a five-time national champion, and a World Champion in the individual time trial. Steve Hegg, a 1984 Olympic Gold Medalist, poses with KJ and Bill. Steve Hegg has amassed 15 national Championships. Fame is easy, if you really want it.